If there is a single output in the model, this simplifies to minimize or maximize the statistic value. Note that the Output Goal specified in the Output Response dialog is not used here. It is only used in Maximize Desirability. Output Goal (Target, Maximize or Minimize) – this is specific to an output. For example, if Output 1 is production rate, the goal would be set to maximize, and Output 2, cost, would have a minimize goal. However the specified overall objective function goal is to maximize desirability. If the output goal is Target, then LSL, Target, and USL are required. 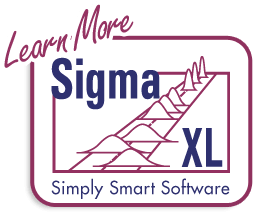 LSL and USL are the lower and upper specification limits used for process capability and dpm calculations, but are also used as the lower and upper bounds for desirability. If the output goal is Minimize, then Target and USL are required. If the output goal is Maximize, then LSL and Target are required. The only statistic available for this option is the mean. DIRECT (Dividing Rectangles) Global Optimization – ideal for highly complex problem but with few inputs. Genetic Algorithm (GA) Global Optimization – use for general global optimization. Sequential Quadratic Programming (SQP) for fast local “smooth surface” optimization. Replications value sets the number of replications used in optimization to obtain the Statistic. If the number of replications is set to 1 for deterministic optimization, the statistic used is the Mean, regardless of what has been selected. Seed is set to Clock by default so that the starting seed of random number generation will be different with each run. If you want the optimization results to match every time (for example in a classroom setting where you want all students to obtain the same results), select Value and enter an integer number. Stochastic optimization requires a fixed seed in order to avoid “chatter” that would result in inconsistent comparisons. If the Seed is set to Clock, the initial seed value will be obtained from the system clock and then kept fixed throughout the optimization. 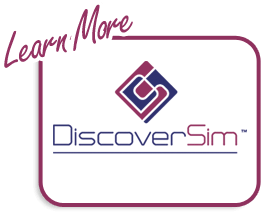 Accelerated Mode uses DiscoverSim’s Excel Formula Interpreter to dramatically increase the speed of calculations for rapid optimization. If unchecked, the calculations are performed using native Excel. The interpreter supports the majority of all Excel numeric functions (for more details see Appendix: DiscoverSim Engine and Excel Formula Interpreter). If the DiscoverSim interpreter sees a function that it does not support, you will be prompted to use Excel’s Native mode. Check Independence (Ignore Correlations) to run the optimization with all inputs independent of each other (zero correlation). Optimization in process may be paused or stopped. Upon completion, the user can paste the optimum control and/or parameter values in order to perform further simulation studies.